Patrick began acting at the age of 12, and for the next 4 or 5 years he played with a number of amateur dramatic companies in and around his home town of Mirfield in Yorkshire. 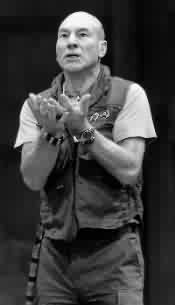 After graduating from the respected Bristol Old Vic theatre school, Patrick's professional stage career, which now spans nearly 40 years, began in 1959 with the role of Morgan in "Treasure Island" at Lincoln Theatre Royal. Following this was continual work with a number of British repertory companies across the UK, and on occasion joining companies such as Bristol Old Vic in their overseas tours with established stars such as Vivien Leigh. For Patrick, going from role to role and theatre to theatre provided not only a wonderful experience, but the very best way to improve his performance and technique. 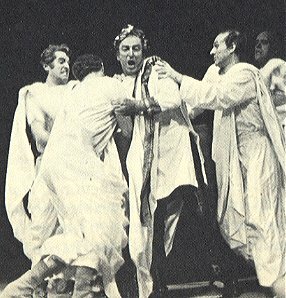 In 1966 Patrick joined the Royal Shakespeare Company at Stratford-upon-Avon, and within a year was made an Associate Artist. Coinciding with his arrival at Stratford was the significant appointment of Trevor Nunn, who took over as Artistic Director from Peter Hall. 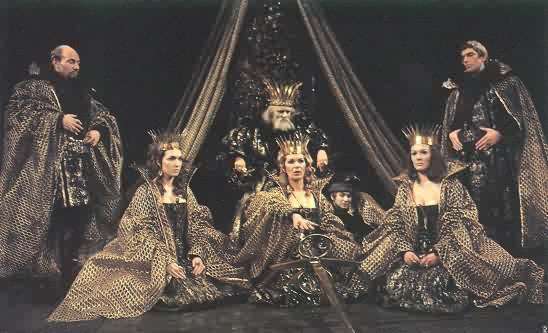 The RSC was about to undergo a transformation with a group of actors forming a new nucleus of talent including Susan Fleetwood, Alan Howard, Ben Kingsley, Helen Mirren, Norman Rodway, Stewart, and Janet Suzman. 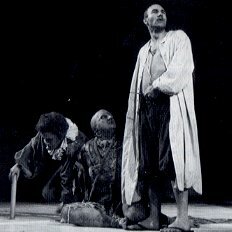 Throughout the late '60's and into the '70's this group under the direction of, Terry Hands, John Barton, David Jones, Peter Brook and later Buzz Goodbody would inspire some of the most noted productions the RSC had ever staged. Stewart was to find the work both immensely stimulating and rewarding as an actor, playing everything from Shakespeare to Chekov, Gorky, Stoppard and Edward Bond. So much so, that he remained working solely for the RSC until 1982. Patrick made his debut in a leading American classic role as the embittered 'George' in Edward Albee's 'Who's Afraid of Virginia Woolf?' at the Young Vic in London in 1986. Stewart was chosen at the last minute for the role by Billie Whitelaw - who played Martha, and director David Thacker. 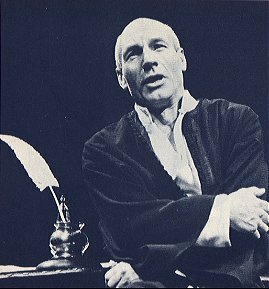 After the end of the 'Star Trek:The Next Generation' television series, Patrick was keen to return to his theatre roots and to Shakespeare. 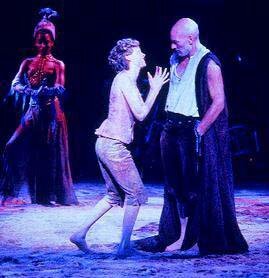 Now based in America, he began with the role of Prospero in George C. Wolfe's 'The Tempest' as part of the New York Shakespeare Festival for 1995. The play performed to massive crowds in Central Park, and was so popular that it transferred to Broadway for a limited sold out run. Patrick received a nomination as Best Actor from the Outer Critics Circle for this role. 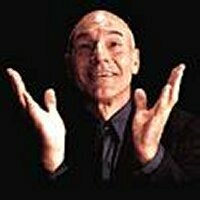 During his time with the TNG television series, Stewart conceived the idea of a one man performance of Charles Dickens classic "A Christmas Carol" as a way of keeping his beloved theatre work going during the limited time available. Beginning in 1991 and continuing until 1996 at venues in California, on Broadway and also in London, the performances received critical acclaim and recognition from the Drama Desk and Olivier Awards. During the performance on a bare stage Stewart used minimal props to portray over 35 characters from the book! After refusing for many years to film the performance, a deal was agreed with Robert Halmi of Hallmark Entertainment for a TV film version to be adapted for the screen by British playwright Peter Barnes. Visit the TV page for details of this 1999 TNT production. The role Stewart had always wanted to play since he first read it at age 14 was that of the tragic Moor Othello. By the time he was of an age and experience to play the role, it was no longer acceptable for a white actor to put on black face an pretend to be an African Moor. 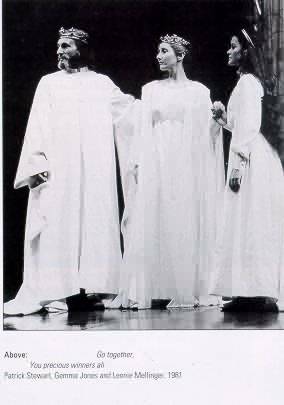 To get round this Stewart conceived the idea of simply reversing the roles, making Othello white and the rest of the cast black. It took some time before he finally found a theatre willing to take the risk of mounting such a production, and it was to the Shakespeare Theater in Washington D.C. that thanks must go for the opportunity. The production ran from November 11th 1997 to January 4th 1998 and generated unprecedented advanced bookings ensuring that the run was sold out months before it's opening. Those lucky enough to see the production saw Stewart's incredible stage 'presence', in what was an outstanding performance. 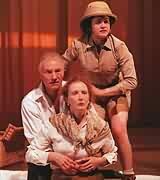 In November 1998 Patrick starred in the New York premiere of Arthur Miller's 1991 play 'The Ride Down Mt. Morgan' at the Public Theater off Broadway. 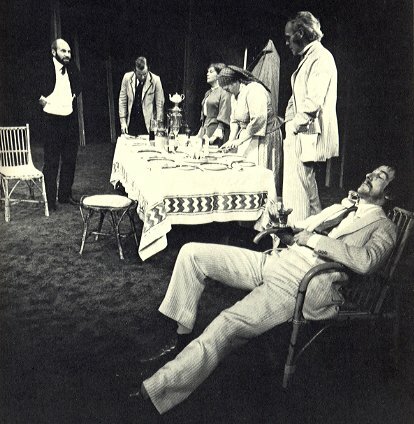 This late Miller play deals with the power of sensuality and centres around Stewart's character of Lyman Felt, a wealthy New York insurance man who crashes his car one icy evening on the way down Mount Morgan and is confined to a hospital bed. 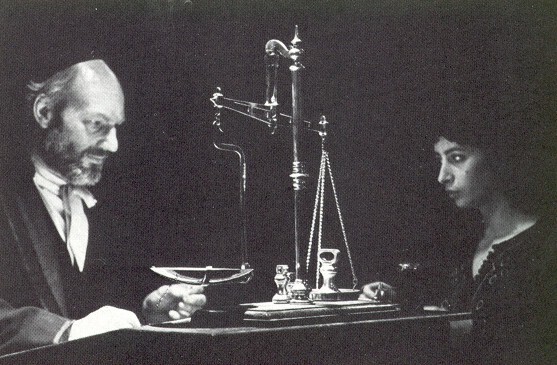 Whilst there he is visited by his lawyer and hears that his wife is also there to visit, the problem is which one....unbeknown to anyone Lyman has married twice! In his mind Lyman sees the confrontation as his wife of some 20 years Theo and daughter Bessie meet his more recent younger wife Leah. This event does indeed happen and Lyman has to deal with the consequences of what he has done in an effort to 'have it all'. Stewart gives an excellent portrayal of the sensuous Lyman, a man whose appetite for life and it's pleasures out weighs his moral conscience. 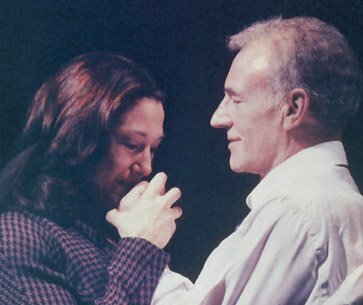 Patrick reprised the role of Lyman Felt on Broadway, this time at the Ambassador Theater from March 21st to July 23rd 2000. 15 years previously Stewart had desperately wanted to continue the successful production of 'Woolf' in London where he first came to the role of the battered academic 'George' in Edward Albee's vitriolic play. Then Star Trek 'happened'. Once the series ended he again looked to reprise the role, but things didn't work out. 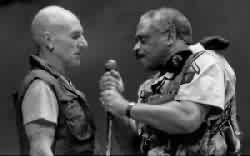 So having written off the idea of ever playing George again it was a happy coincidence that director David Esbjornson (who directed Stewart in Ride Down Mt. Morgan) mentioned this would be his next project! Albee's play revolves around 'George' and 'Martha', two intellectuals who have spent a lifetime playing games in a world of false values. Arriving home one evening after a party, they invite a young couple 'Nick' and 'Honey' to join them, and slowly as the drink flows so the vicious sparring of words between 'Martha' and 'George' begins, ultimately leading to a shocking conclusion. 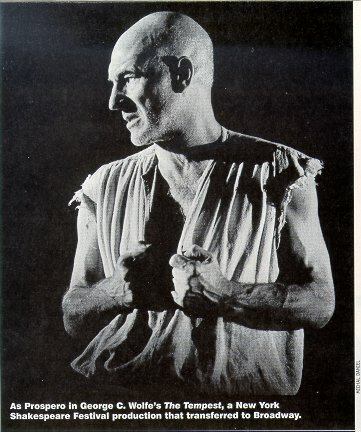 In recent years Patrick has appeared in modern American classics by Miller and Albee, and yet several major Shakespearean roles have still eluded him - notably Lear, Macbeth, Antony and Falstaff. His next stage role will be in another 20th century work, this time back in England (for the first time in 15 years) in the Autumn of 2001 for J.B. Priestley's 'Johnson Over Jordan' at the West Yorkshire Playhouse in Leeds. However, having decided to concentrate on stage work in the next few years, we can be assured that Shakespeare will remain a high priority in the theatre roles he chooses.